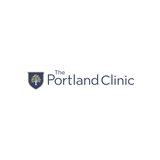 The Portland Clinic - Gynecology (Portland) - Book Appointment Online! Great information and approach. Very knowledgeable and kind. Highly recommend! She was really helpful and very knowledgeable. Down to earth, and I know she could relate to me! I appreciated her guidance. Very professional and friendly made me feel very comfortable, in an otherwise uncomfortable situation. I would recommend Dr. Jung to friends.